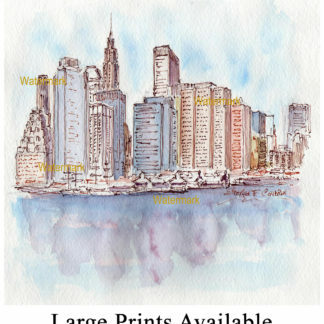 Manhattan skyline #841A pen & ink watercolor cityscape painting, which is for sale here, at discount with prints by artist Stephen F. Condren, SAIC, of Condren Galleries, a Fine Arts Gallery, offering JPEG & PDF prints. 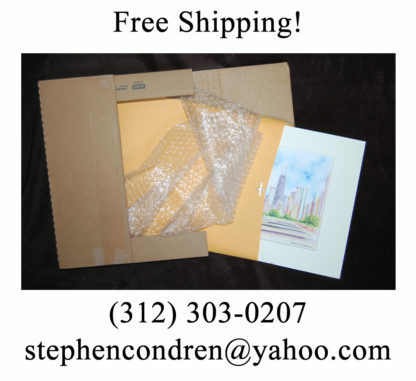 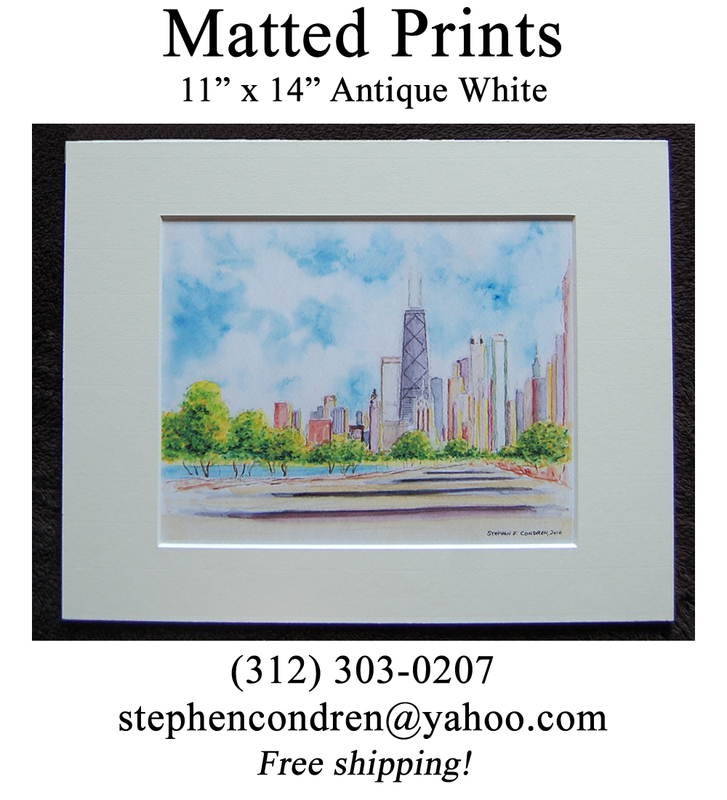 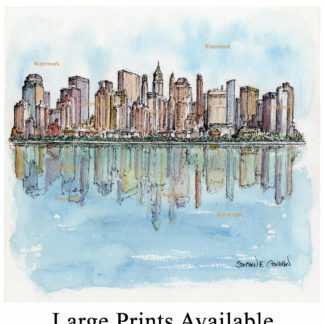 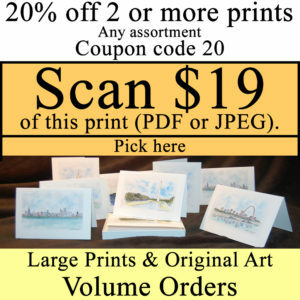 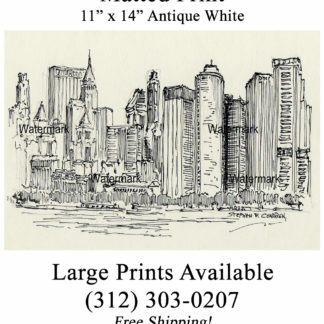 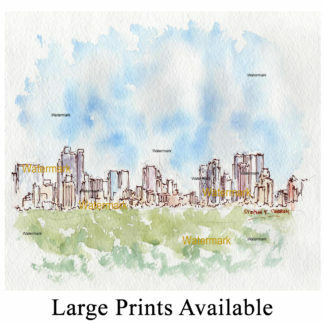 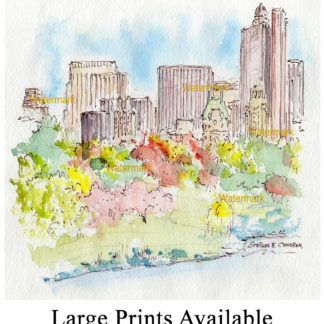 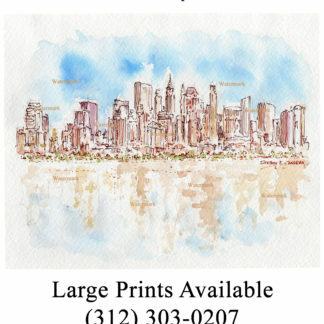 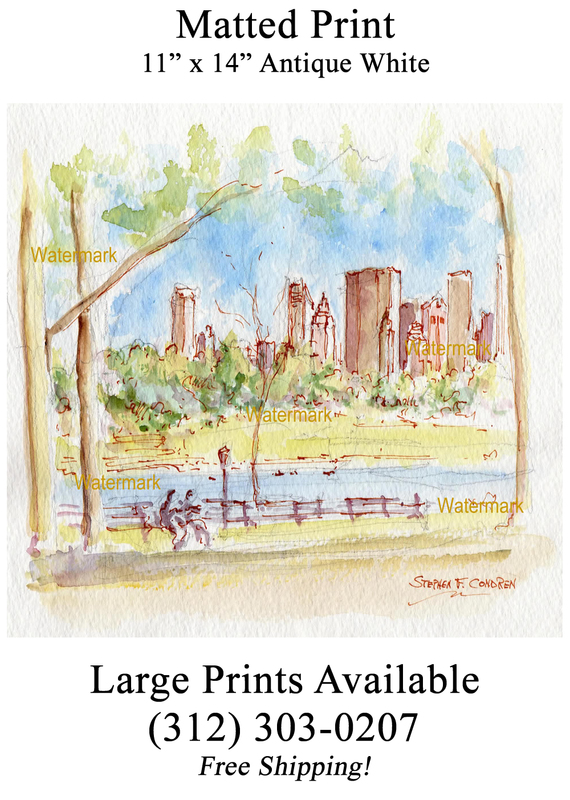 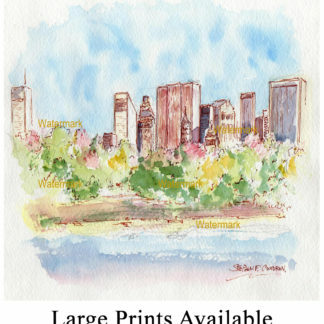 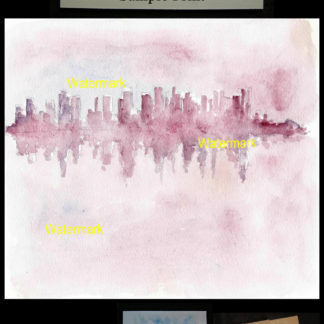 Because Central Park skyline pen & inks are great, it’s prints are great! 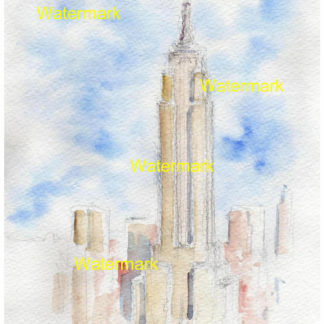 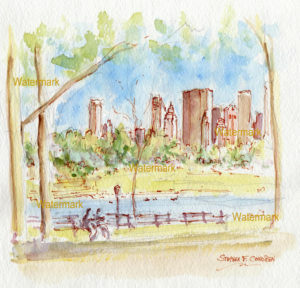 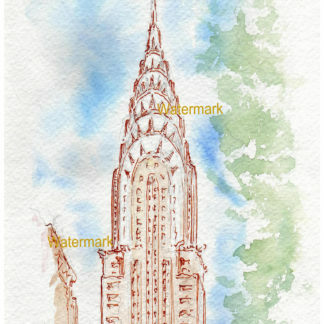 Watercolor of Manhattan skyline from Central Park. 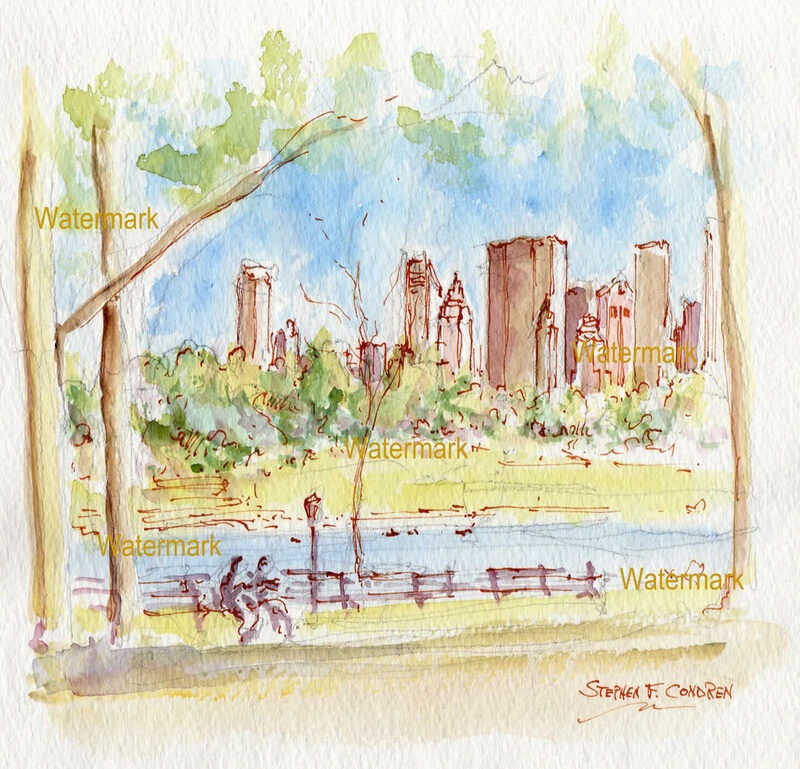 This lovely scene of Central Park in Manhattan Island, New York, shows us a couple seating on the park bench and actively engaged in conversation as you can see my the movement of both figures. 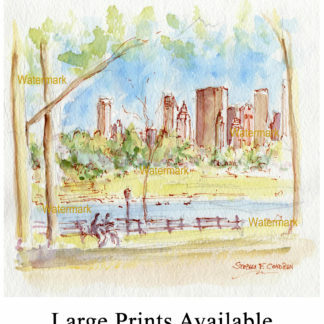 Behind them can be seen the grand skyline of New York City with is famous the world over. 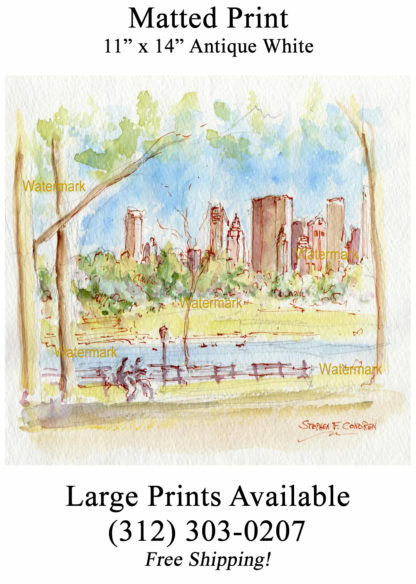 Lush greenery and trees maximize the couple’s relaxation gently surrounding them and in the Jacqueline Kennedy Onassis Reservoir that is behind them you can see people rowing in small dingy.